When partnering with you, we want to create a dialogue in which we can solve what’s important to you and take on the heavy lifting so that you can focus on other things. 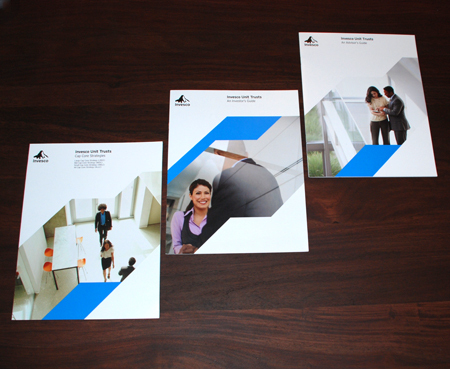 We partnered with the Invesco in-house marketing team to help them take their design in a new direction. We challenge ourselves to stay brand-compliant while also designing unique covers with content that flows well. 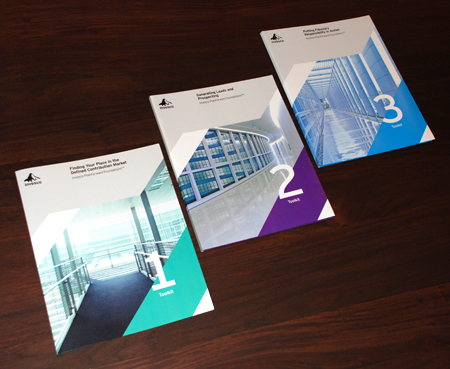 With their Unit Trust guides, we presented a crisp look with a contemporary feel to convey the expertise Invesco possesses with an air of calm and clarity. By presenting a moment in business owners’ everyday lives, the covers create a sense that even though they are surrounded by commerce, the focus is still on them. With this mood established, Invesco is able to convey that time-crunched business owners need to take the time to make a retirement plan. 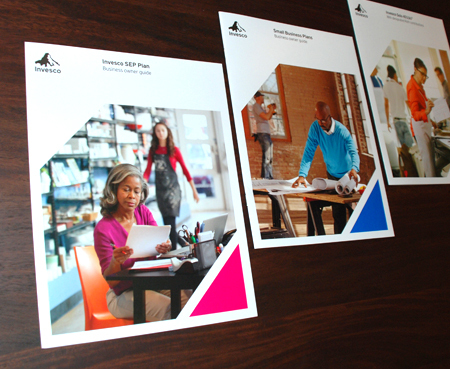 These sales toolkits help advisors explain and sell defined contribution retirement plans to their customers. We utilized photography of pathways, hallways, and corridors with a modern and minimal quality in order to represent a forward trajectory. At Invesco, the entire brand is based on the language of ascent – a system of diagonal, graphic planes that speak of growth and aspiration. When starting a project, we make sure that we’re speaking the language of your brand and keep the focus on what’s important to you. This entry was posted on August 28, 2013 at 10:09 pm and is filed under Advertising, Branding, graphic design, Uncategorized. You can follow any responses to this entry through the RSS 2.0 feed. You can leave a response, or trackback from your own site.